NOW IN STOCK AND READY TO SHIP!! This figure comes in a “BLIND BOX” which we had to open (from the bottom) in order to find out which figure was in the box!! The Tokusatsu Heroes TOHO KAIJU Godzilla 1964 Figure!! This is one of the NEW “Super Deformed” vinyl Kaiju figures produced by Zacca Pap Co. of Japan. This figure stands approx. 2 inches tall and has outstanding color and detail. SUPER DEFORMED MONSTERS WITH ATTITUDE. WOW!! The Tokusatsu Heroes TOHO KAIJU Godzilla 1962 Figure!! 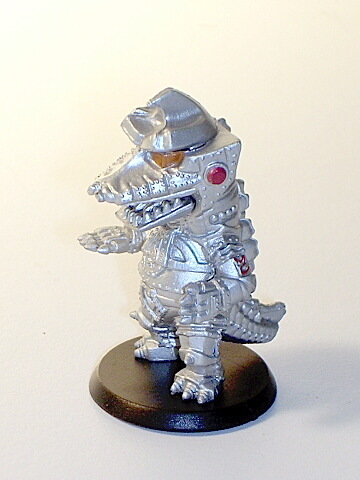 This is one of the NEW “Super Deformed” vinyl Kaiju figures produced in 2007 by Zacca Pap Co. of Japan. This figure stands approx. 2 inches tall and has outstanding color and detail. SUPER DEFORMED MONSTERS WITH ATTITUDE. WOW!! NOW IN STOCK AND READY TO SHIP!! This figure comes in a “BLIND BOX” which we had to open (from the bottom) in order to find out which figure was in the box!! The Tokusatsu Heroes TOHO KAIJU Titanosaurus Figure!! 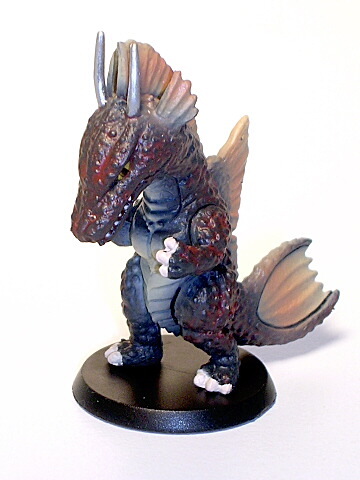 This is one of the NEW “Super Deformed” vinyl Kaiju figures produced in 2007 by Zacca Pap Co. of Japan. This figure stands approx. 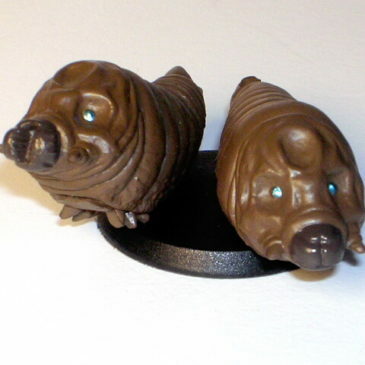 2 1/2 inches tall and has outstanding color and detail. SUPER DEFORMED MONSTERS WITH ATTITUDE. WOW!! The Tokusatsu Heroes TOHO KAIJU Collection!! ALMOST IMPOSSIBLE TO FIND EVEN IN JAPAN!! 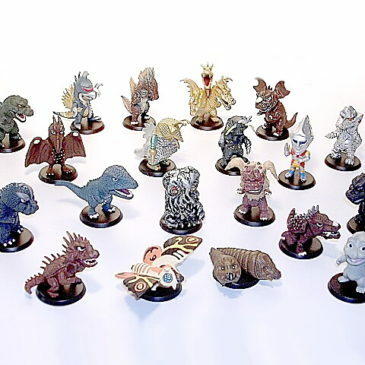 This wonderful collection of 20 “Super Deformed” vinyl Kaiju figures is produced by Zacca Pap Co. of Japan. Each figure stands approx. 2 inches tall and all have outstanding detail. This is the set of “regular” figures and does NOT include the mystery chase figure Manda with Atragon Sub. That is sold separately. The figures in this set include; Godzilla 1954, Godzilla 1962, Godzilla 1964, King Ghidorah, Megalon, King Seesar, Minya 1967, Angillas, Baragon 1965, Gigan 1972, Gorosaurus, Hedorah 1971, Jet Jaguar, Mechagodzila 1974, Mogera, Mothra, Mothra Larvas, Titanosaurus, Varan and Rodan 1956! SUPER DEFORMED MONSTERS WITH ATTITUDE. WOW!! Many of these figures represent hard to find Kaiju. These wonderful Super Deformed vinyl figures come MINT in colorful Box. Each Figure comes in a “BLIND BOX” which we have to open (from the bottom) in order to make sure you get a complete set!! NOW IN STOCK AND READY TO SHIP!! This figure comes in a “BLIND BOX” which we had to open (from the bottom) in order to find out which figure was in the box!! The Tokusatsu Heroes TOHO KAIJU Rodan 1956 Figure!! HE LOOKS READY TO EAT SOMEBODY!! This is one of the NEW “Super Deformed” vinyl Kaiju figures produced by Zacca Pap Co. of Japan. This figure stands approx. 2 inches tall and has outstanding color and detail. SUPER DEFORMED MONSTERS WITH ATTITUDE. WOW!! NOW IN STOCK AND READY TO SHIP!! This figure comes in a “BLIND BOX” which we had to open (from the bottom) in order to find out which figure was in the box!! The Tokusatsu Heroes TOHO KAIJU Twin Mothra Larva Figures!! 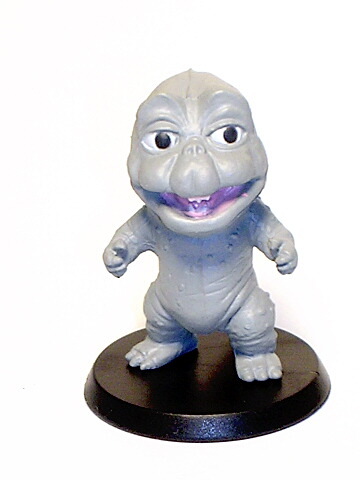 This is one of the NEW “Super Deformed” vinyl Kaiju figures produced by Zacca Pap Co. of Japan. This “figure” is actually TWO LARVAS both approx. 2 inches long and they both have outstanding color and detail. SUPER DEFORMED MONSTERS WITH ATTITUDE. WOW!! NOW IN STOCK AND READY TO SHIP!! This figure comes in a “BLIND BOX” which we had to open (from the bottom) in order to find out which figure was in the box!! 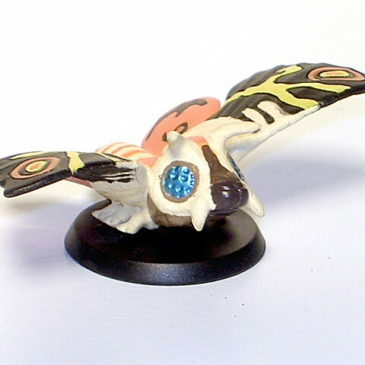 The Tokusatsu Heroes TOHO KAIJU Mothra Adult Figure!! 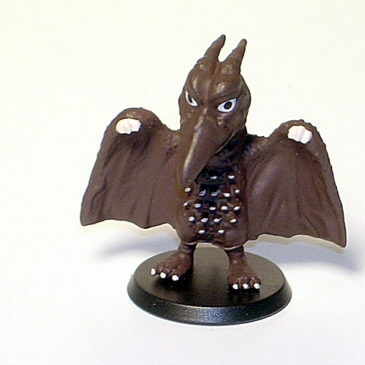 This is one of the NEW “Super Deformed” vinyl Kaiju figures produced in 2007 by Zacca Pap Co. of Japan. This figure has a wing span of approx. 2 inches and has outstanding color and detail. SUPER DEFORMED MONSTERS WITH ATTITUDE. WOW!! NOW IN STOCK AND READY TO SHIP! !This figure comes in a “BLIND BOX” which we had to open (from the bottom) in order to find out which figure was in the box!! The Tokusatsu Heroes TOHO KAIJU Minya “Son of Godzilla” Figure!! 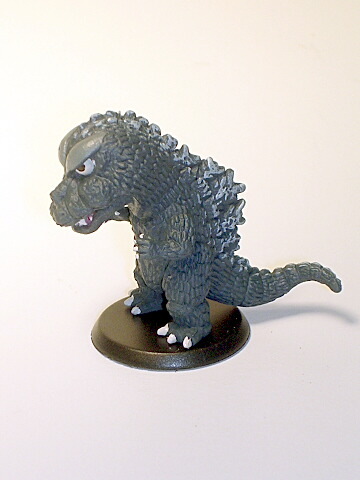 This is one of the NEW “Super Deformed” vinyl Kaiju figures produced in 2007 by Zacca Pap Co. of Japan. This figure stands approx. 2 inches tall and has outstanding color and detail. SUPER DEFORMED MONSTERS WITH ATTITUDE. WOW!! This wonderful Super Deformed vinyl figure comes MINT in colorful Box. NOW IN STOCK AND READY TO SHIP!! This figure comes in a “BLIND BOX” which we had to open (from the bottom) in order to find out which figure was in the box!! The Tokusatsu Heroes TOHO KAIJU MechaGodzilla 1974 Figure!! 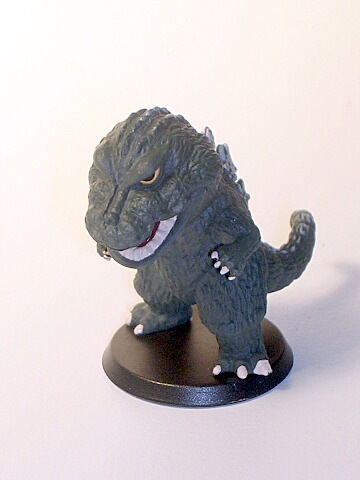 This is one of the NEW “Super Deformed” vinyl Kaiju figures produced in 2007 by Zacca Pap Co. of Japan. This figure stands approx. 2 inches tall and has outstanding color and detail. SUPER DEFORMED MONSTERS WITH ATTITUDE. WOW!! 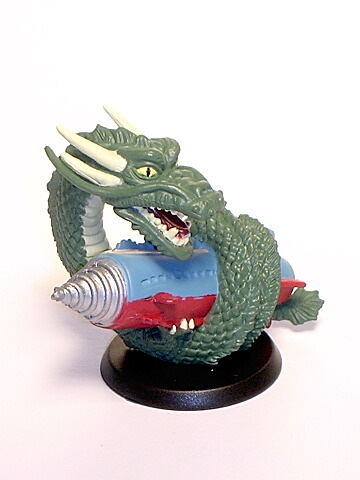 MANDA ATTACKING ATRAGON!! This figure comes in a “BLIND BOX” which we had to open (from the bottom) in order to find out which figure was in the box!! The Tokusatsu Heroes TOHO KAIJU “LIMITED SPECIAL” Manda with Atragon Figure!! MANDA IS JUST ABOUT TO EAT THE SUPER SUBMARINE ATRAGON!! This is the ***SPECIAL “SECRET” LIMITED *** Chase “Super Deformed” vinyl Kaiju figure produced in 2007 by Zacca Pap Co. of Japan. This AWESOME “LIMITED” figure stands approx. 2 inches tall and has outstanding color and detail. he MANDA figure is the “CHASE” figure from this new set. SUPER DEFORMED MONSTERS WITH ATTITUDE. WOW!! This wonderful Super Deformed vinyl figure comes MINT in colorful Box. THIS FIGURE IS ALMOST IMPOSSIBLE TO FIND EVEN IN TOKYO JAPAN!! Scroll down to see additional photo.